I live a dual life, kinda. I live in The Region. That is where I go to school, and live during the week. However, come the weekend, I travel the 70+ miles to my second home, West Lafayette/Lafayette, IN. It’s a strange lifestyle. I don’t have a permanent residence down there and it has forced me into a nomadic lifestyle. I have just about everything I need within my bags and go from place to place. Some would ask why I do this. Seems expensive and quite a hassle. To an extent this is true, but the pros far outweigh the cons. All my friends (like the one’s who are doing this very blog project with me) are located in Lafayette. My girlfriend is there. My improv group is there. The entirety of my social life is in Lafayette. Strange as it might be, this is how it is. Having no place to call my own is kind of difficult. Especially when you have a lot of work to be done for school (engineering is quite a lot of work) and said improv group. That is where Greyhouse enters the mix. Greyhouse is a local coffee shop located in the Chauncey Village area of West Lafayette. It’s hard to express how much of a sanctuary it has been for me. I have previously written about my troubles with school and to be perfectly honest, the redemption portion of that is mainly situated at Greyhouse. In the process of getting myself back on track I needed a place to focus. A place with great atmosphere and great coffee. Greyhouse has and does fulfill those requirements and then some. It always has diligent students, hard at work (I count myself among these), as well as people milling around just hanging out and having a good time. This combination just puts me into the zone. I have spent countless hours and drank countless gallons of coffee at Greyhouse and I attribute a lot of my success to Greyhouse for providing me a place to focus and get work done. I am actually writing this entry from a leather chair in Greyhouse after putting in a good 3-4 hours of work. This place is my home and I would have a hard time without it. 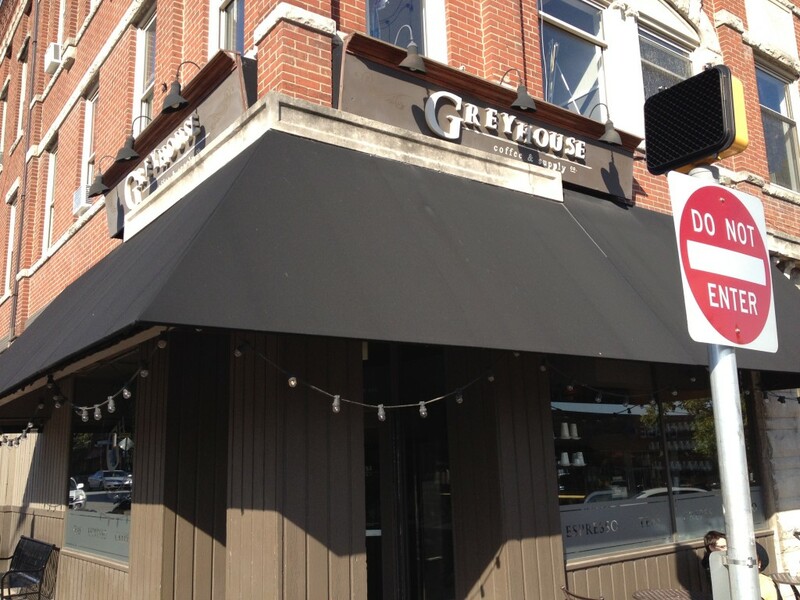 If you ever find yourself in West Lafayette, pay yourself a visit to Greyhouse. It is amazing. *Since I brought up what has made me successful I want to give a special thanks to all my friends. Among them I want to single out Tim and Mary Franklin. I have stayed a their house countless times and I would not be able to have this portion of my life without them. Thank you guys, truly. Aw, thanks for the acknowledgment, pal! You’re always welcome!